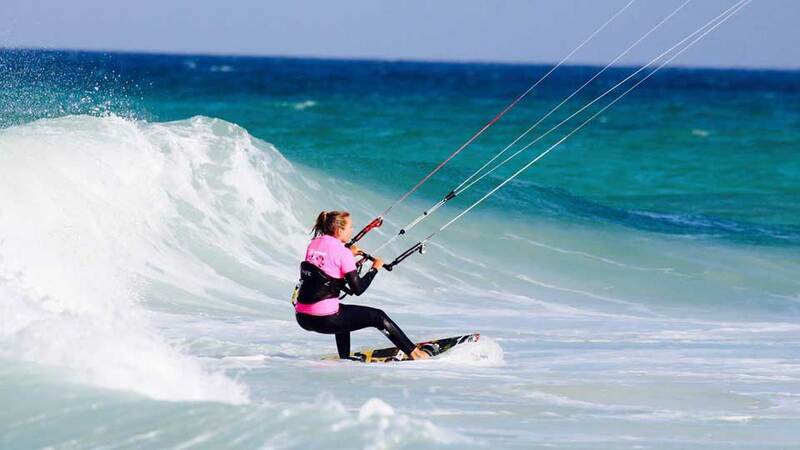 Are you an intermediate kitesurfer and you want to learn wave kitesurfing? Then you are right here. 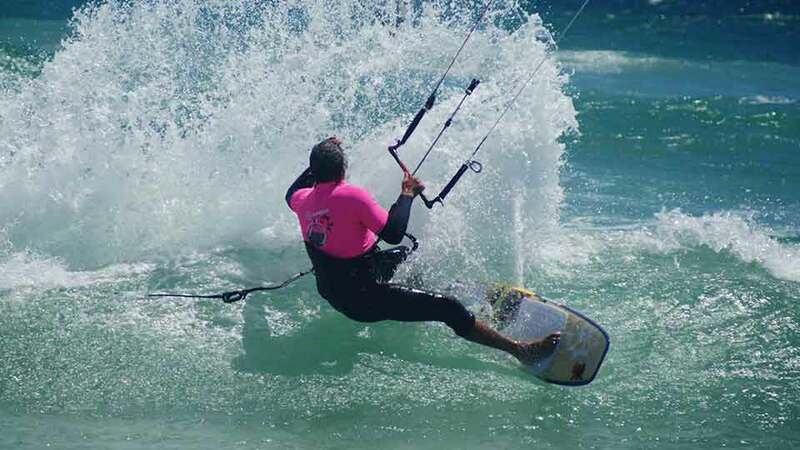 We are the producers of the famous wave kitesurfing tutorial videos KITEKAHUNAS – Learn Wave Kitesurfing and we are leading the education in wave kitesurfing world-wide. 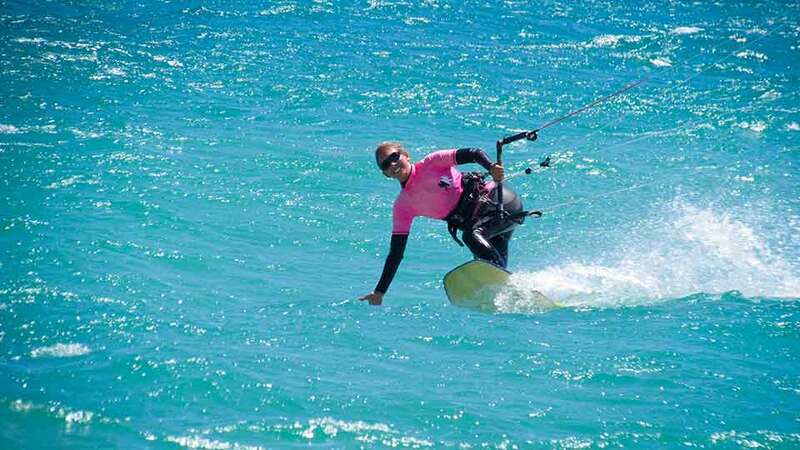 Experienced wave kitesurfers can go on our KITEKAHUNAS Wave Camp. Wave kitesurfing novices need to take this Wave Kitesurfing Course W first (on which you can start with your twin-tip board, and later change over to the wave board). Wave kitesurfing is the most thrilling experience. 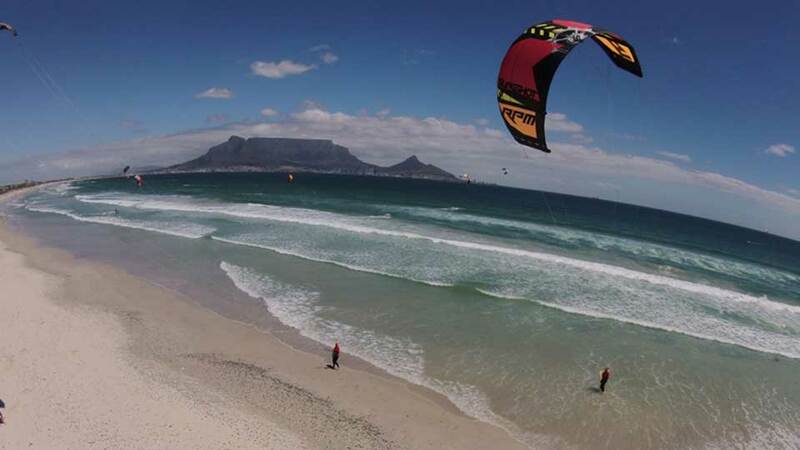 Many kitesurfers change over from their twin-tip board, because with wave kitesurfing there are hardly any injuries, it is less stressful on your body, and even more fun than freeride/freestyle kitesurfing on your twin-tip board. If you want to learn wave kitesurfing, please book our Wave Course Module W. You can start on your twin-tip board, and during the course you can, if you wish, switch back from time to time to also practice freeride/freestyle kitesurfing on your twin-tip board or even take freestyle lessons. So you will stay flexible during your holidays. 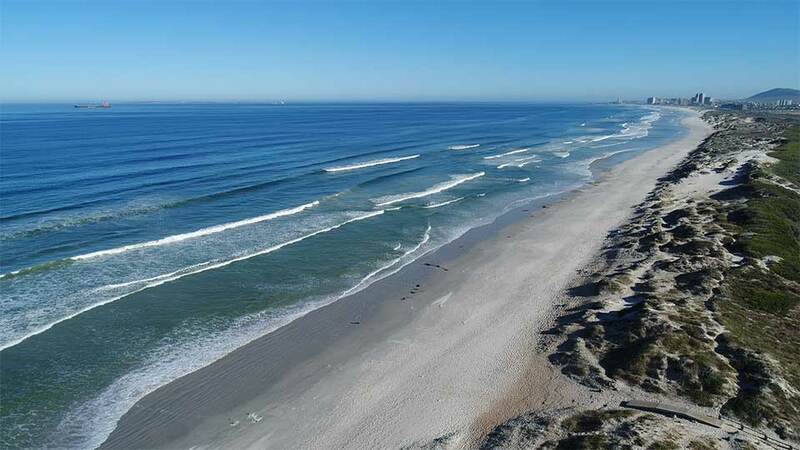 But the main goal will be to turn you into a wave kitesurfer and to move you over to the directional wave board. Depending on the conditions, you can go with straps or strapless on the wave board. We will try to teach you both, depending on your preferences. 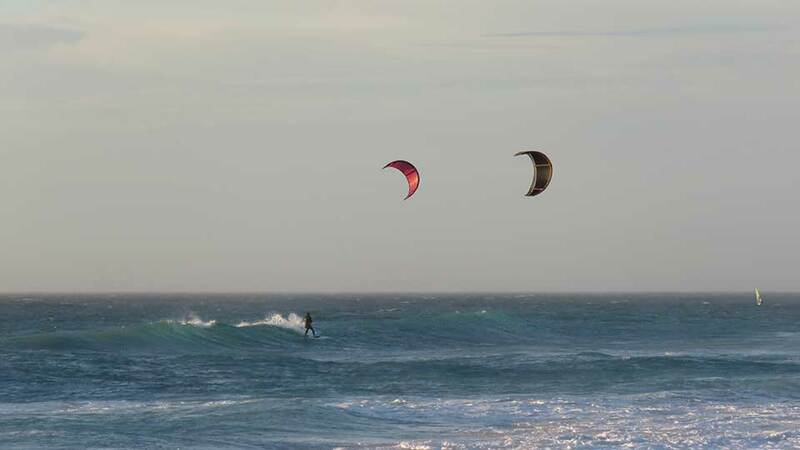 which makes learning wave kitesurfing MUCH easier than at a wave spot. You will have 2 days of private lessons per week and the rest of the week you practice in a group what you have learned under supervision with coaching. The Wave Kitesurfing Course Module W takes one or two weeks. During each week you will have two days of private lessons. These will be intensive training days with 4-5 hours of teaching, thereof 2-3 hours on the water, typically with radio communication, for instant feedback and fast learning. On the other days you will practice what you have learned on our Wave Camp, supervised by a Coach. 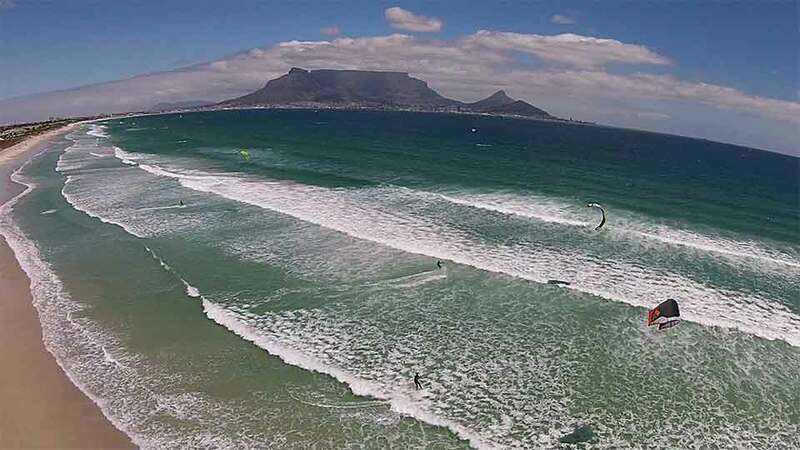 We have 70-90% wind days in Cape Town, so you should expect 5 or 6 days per week on the water during your Wave Course Module W, including 2 days of intensive private lessons. With the KITEKAHUNAS unique teaching methodology your progress will be fast. We will make use of our world-leading wave kitesurfing tutorial videos, so you will receive clear training goals with visualization before your instructor takes you on the water. 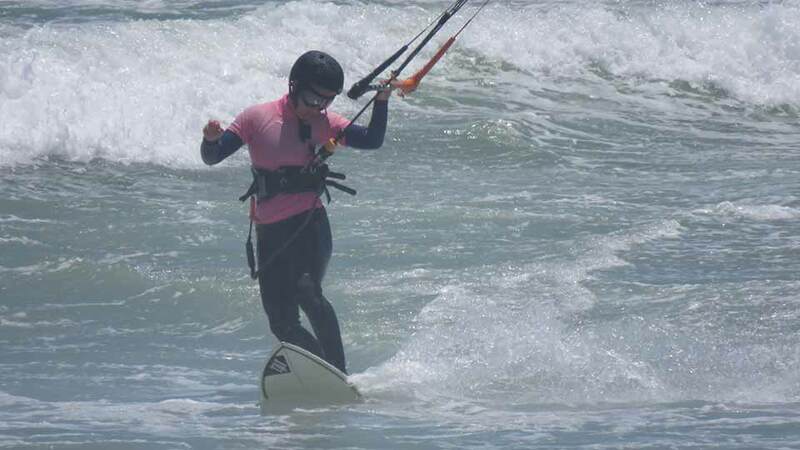 With this you will not learn the wrong movements, which are later difficult to un-learn, but you will learn to look stylish from the very beginning of your wave kitesurfing career. We mostly go on downwinders, which makes learning wave kitesurfing much easier than at a wave spot (i.e. staying at the same location, which makes learning wave kitesurfing VERY hard). The Wave Course Module W includes all transport from downwinders. 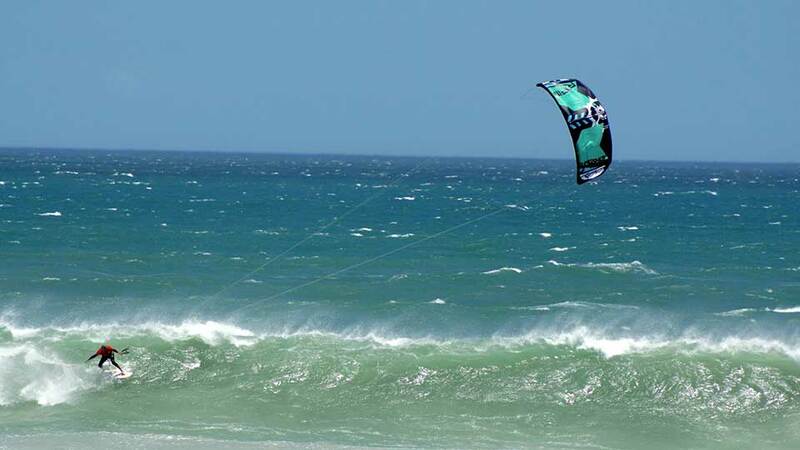 If you have the time, take 2 weeks, then you will return home as a complete wave kitesurfer. 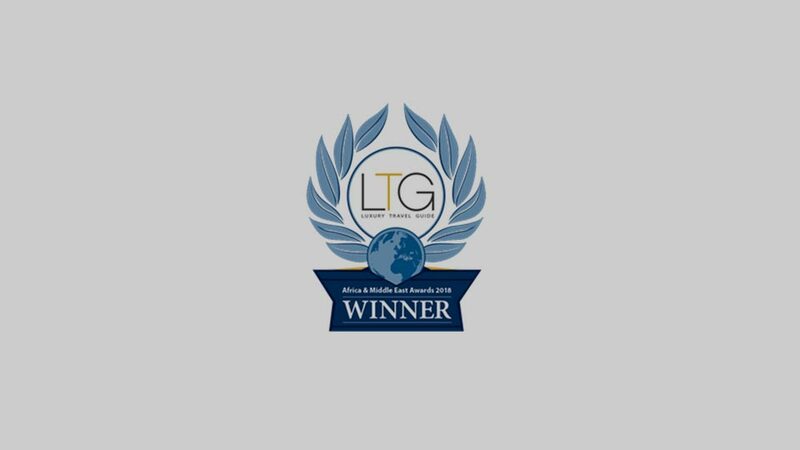 We have the best results with this 2-week course! If you have only 1 week it’s fine. You will still learn the basics, on which you can build up on later. If you try on your own, you will most likely learn the wrong technique, which is later difficult to un-learn. Learn from the very beginning with us. You will look stylish from the very start of your wave kitesurfing career. 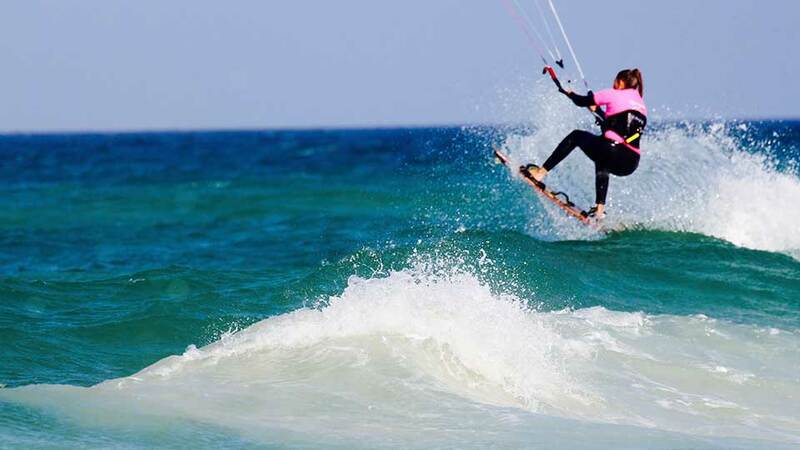 You need to be an intermediate kitesurfer, firmly able to ride upwind (for instance completion of our Course Module D) and be able to ride toe-side. First jumps will be of advantage (e.g. our Course Module E). 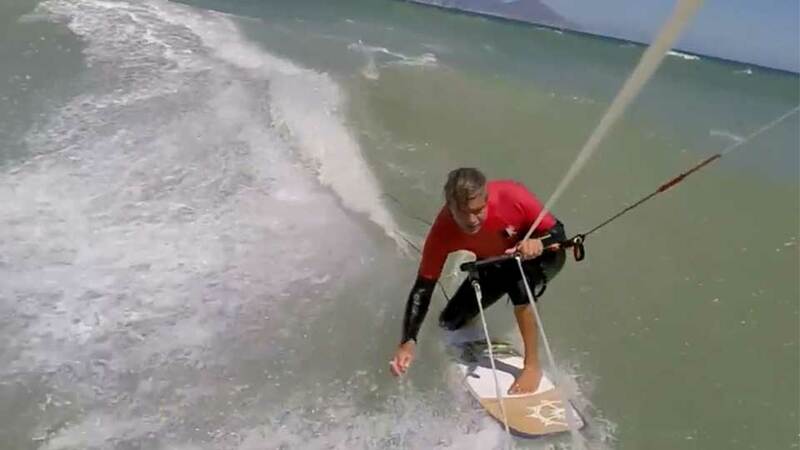 In the beginning, should you feel uncomfortable on the directional wave board or when the conditions are not right, you can always, also during the course, go back on your twin-tip board, either to practice your wave kitesurfing moves on your twin-tip, to which you are used to, or even to practice and advance your freestyle tricks. You either bring your own equipment, or you can rent from us. If you need to purchase equipment, the best way is not to buy at home but from us. If you come to us you can first test the gear, and KITEKAHUNAS offers equipment at preferential prices (to our students). Tourists also save 15% VAT (which you will get refunded at the airport). Let the savings pay for your wave kitesurfing course! So best is you don’t buy at home, but you come to us, we will give you lots of advice and you can test (e.g. boards) before you purchase. If you wish, we can email you an offer beforehand. Private instruction (1:1) together with a small group of wave kitesurfers on the Wave Camp. Radio helmet for safety, instant feedback and fast learning during private lessons. 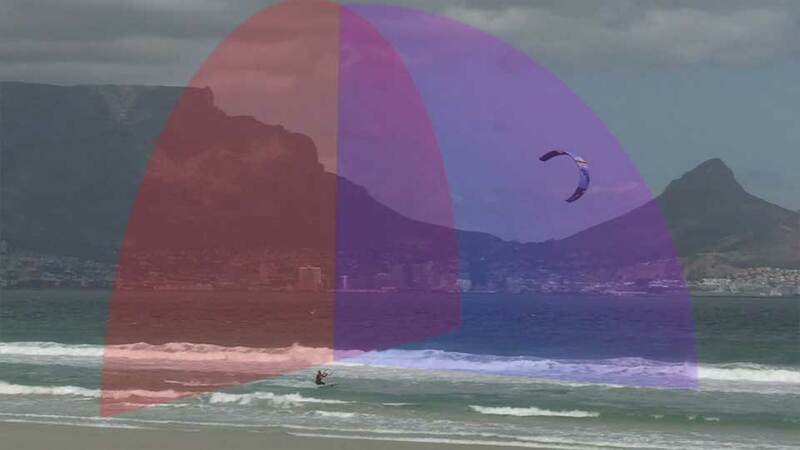 You learn wave kitesurfing five times faster with radio. Please see prices below, at the end of this web page. The Wave Course Module W includes all transport from downwinders. 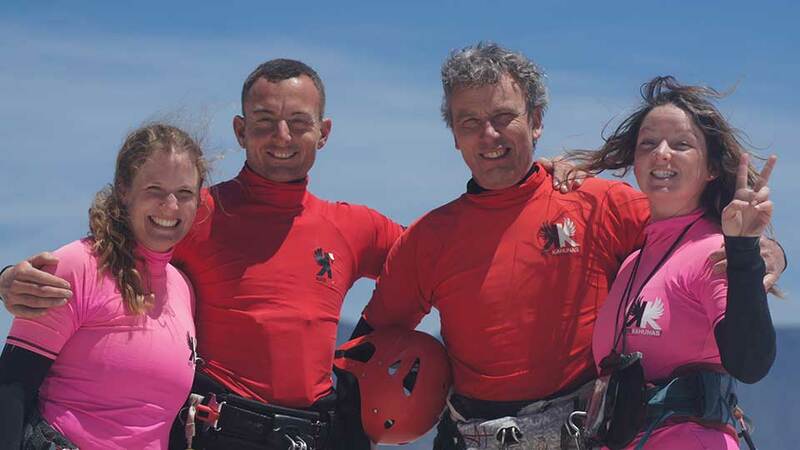 If you take a 2 weeks wave kitesurfing course with us, you will return home as a complete wave kitesurfer. All prices are for private lessons, for best safety and fast learning (1:1). Group courses for 2-students groups (1:2) are possible. 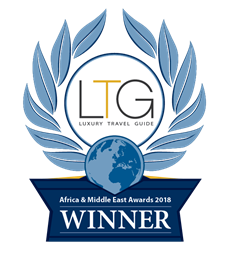 Both participants get 20% discount. We can also organize accommodation for you, and we can offer our own holiday apartments, very beautiful and directly on the beach. Radio helmet for instant feedback. 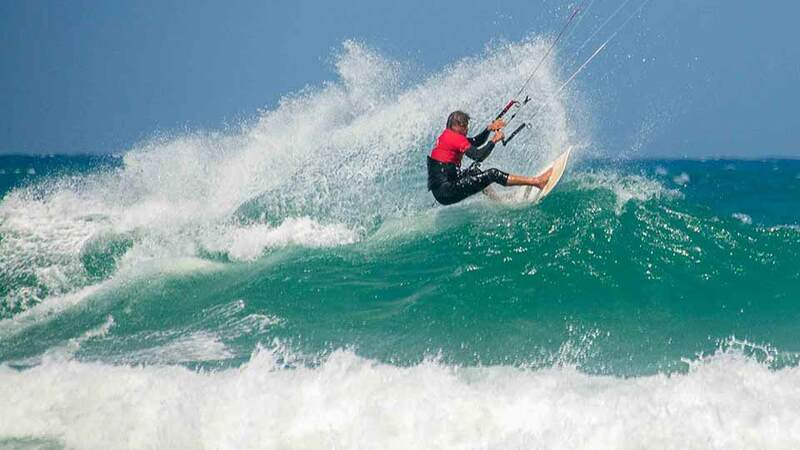 Including usage of the videos KITEKAHUNAS Learn Wave Kitesurfing. South African residents may qualify for special prices in Rand. With the KITEKAHUNAS unique teaching methodology your progress will be fast. 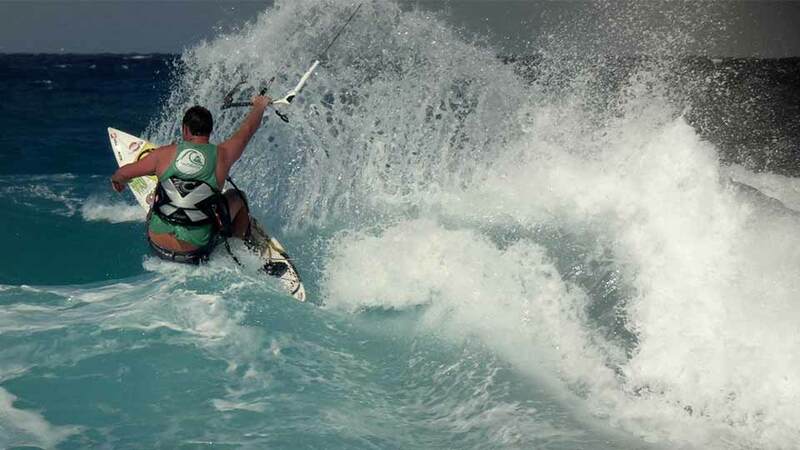 We will make use of our world-leading wave kitesurfing tutorial videos.